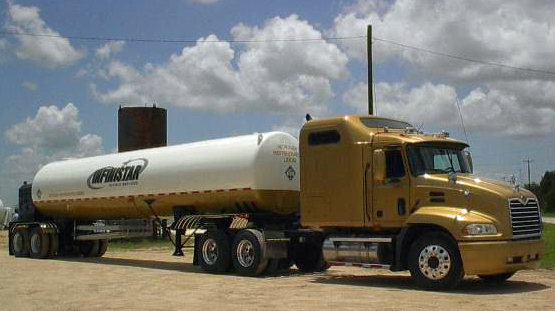 Lone Star Cryogenics offers the highest quality refurbished transports in the industry. Through replacement of major components, restoration of unit vacuum, verification of proper insulation and appropriate application of coatings, Lone Star Cryogenics can upgrade your company’s equipment or provide you with quality refurbished equipment at affordable rates. 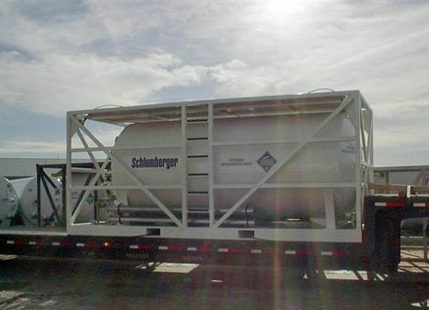 Refurbished trailers undergo a rigorous repair process and are subject to strict quality control to ensure an impressive, reliable product for our clients. 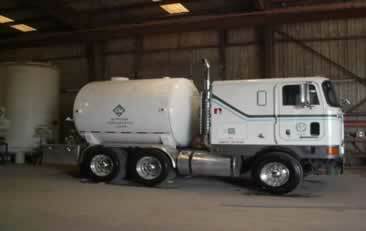 All transports and tanks can be customized to fit your company’s needs. Your choice of name brand components, physical arrangement of systems as well as the coating color scheme are all choice you may have included in the manufacture of your transport! Pictured above is a cryogenic storage tank that has been skidded and outer-framed. 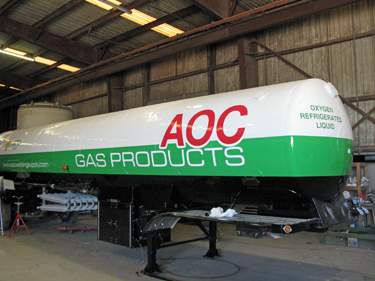 Portable 2,000 – gallon tanks are available in a variety of mountings and framings for oxygen and nitrogen service.